Chris Hale and Steve Haywood became the latest anglers to qualify for the Middy MX Luggage Spring/Summer Series two-day final at Lake View Fishery in August. Hale topped a day of low weights at Wednesday’s qualifiers, while Haywood pipped Sean Huggins by just two ounces, from a total haul of 75lb, on Saturday. 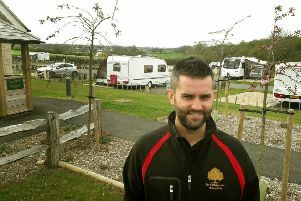 Keith Daws earned a £120 bonus for winning Sunday’s open match from the golden peg on river. Middy MX Luggage Spring/Summer Series Match Nine: 1 Chris Hale (LVS) 47lb (canal peg 15), 2 Josh Pace 42lb 4oz (canal 25), 3 Dave Harper (LVS) 42lb 2oz (canal 17), 4 Dave White (LVS) 42lb 1oz (canal 7), 5 Brian Greenbury (Cooper’s Tackle) 39lb 12oz (canal 3). Middy MX Luggage Spring/Summer Series Match 10: 1 Steve Haywood (Middy) 75lb 6oz (river peg 3), 2 Sean Huggins (Drennan/Dynamite Baits) 75lb 4oz (river 12), 3 Daz Sly (Coopers Tackle) 73lb 12oz (stream 12), 4 Scott Robinson (Mill Tackle) 73lb 10oz (river 6), 5 Pete Exton (LVS) 67lb (stream 9). Sunday Open: 1 Keith Daws (LVS) 76lb 12oz (river peg 20 - golden peg), 2= Jimmy Fowkes (Dynamite/Matrix/Trentmen) 74lb 8oz (river 16), 2= Pete Exton (LVS) 74lb 8oz (stream 9), 4 Daz Sly (Coopers Tackle) 68lb 6oz (river 9), 5 Steve Haywood (Middy) 68lb 4oz (stream 20).